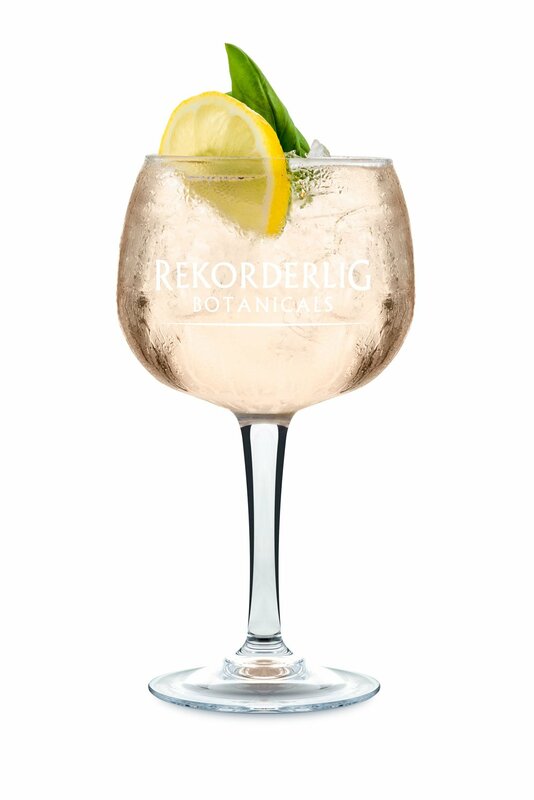 Rekorderlig has been this year’s taste-of-summer, with the ‘Scandi’ cider brand’s new product marketed across many channels and specifically targeted for Instagram, lifestyle blogger feeds and most importantly the retailers shelves. Our studio is located pretty much next door to Rekorderlig’s owner, Molson Coors’ head office and we’ve had the privilege of working on projects for some of their biggest brewing brands. One of our favourites has been for the family owned brewery from Vimmerby, Sweden – Rekorderlig. 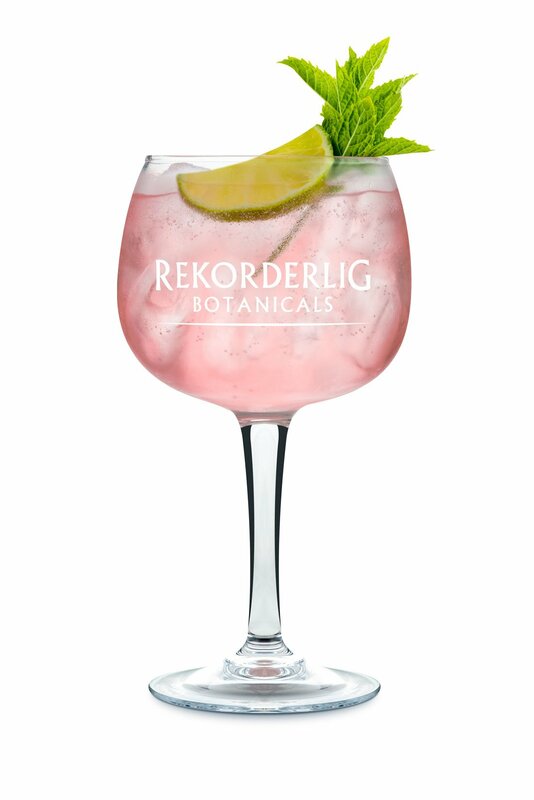 This summer saw the launch of Rekorderlig’s newest range of drinks, ‘Botanicals’. A drink that offers a refreshing alternative to the standard apple or pear ciders; perfect for hot summer days. 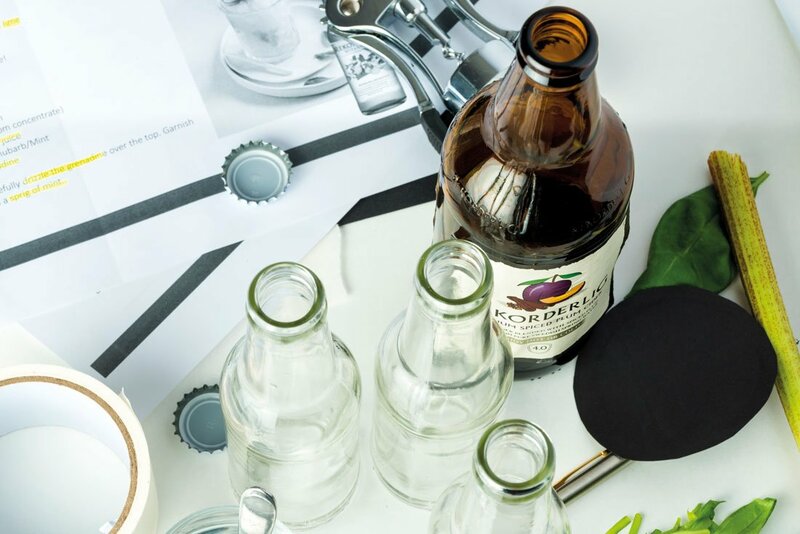 We’ve been involved in many projects for the Molson Coors, but this Rekorderlig project was photography based. We were tasked with producing the suite of product photography for their launch in 2018. 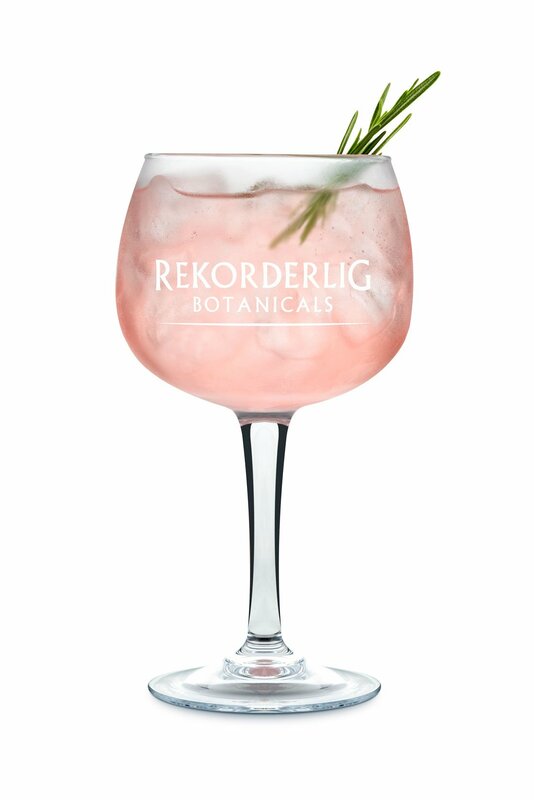 This involved, high quality images of the new range of Botanical ciders and garnishes and also their bespoke Rekorderlig summer cocktails range; which use their Botanicals as the main ingredient. The style of the photography needed to be fresh, clean and contemporary. 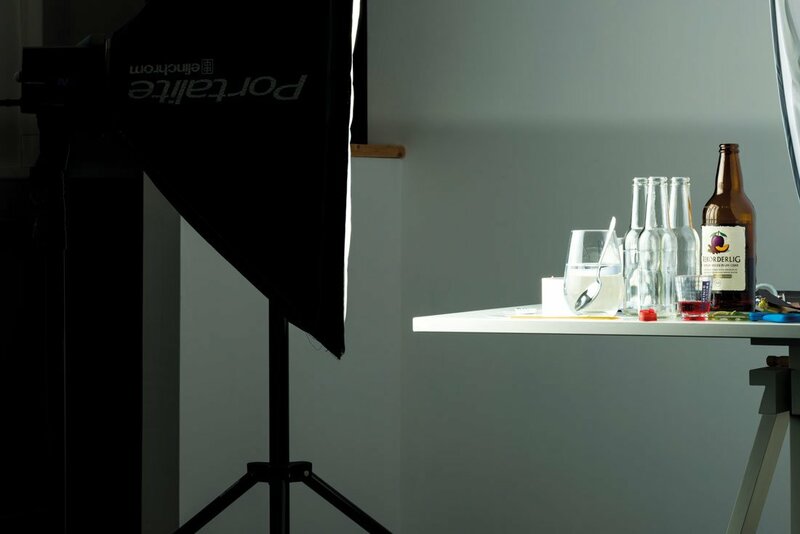 With any type of photoshoot, preparation is the key to its success. In this particular project the high quality required some very detailed thinking to achieve the desired style for this brand. Lighting was vital to show the liquid at its best with the glasses needing to glow and not have any nasty glares or shadows. Above all, the cider had to appear appetising and thirst quenching. We took some time to establish the right kind of lighting in our purpose built studio block. It was vital that the mix of liquid, ice, garnishes and glass be their very best visually. 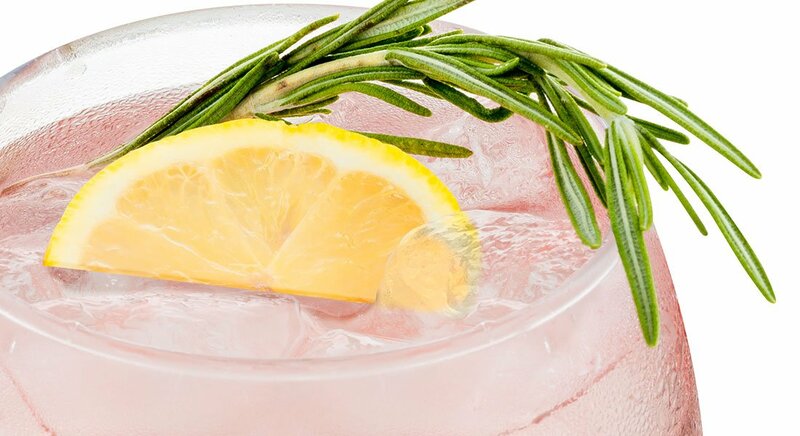 Our main problem was that once a drink is poured over the ice in the glass and the garnish was added, that perfect ‘look’ very quickly changed as the ice melts and the garnish wilts. Our studio lighting does throw out rather a lot of heat. The race was on to capture that perfect drink! 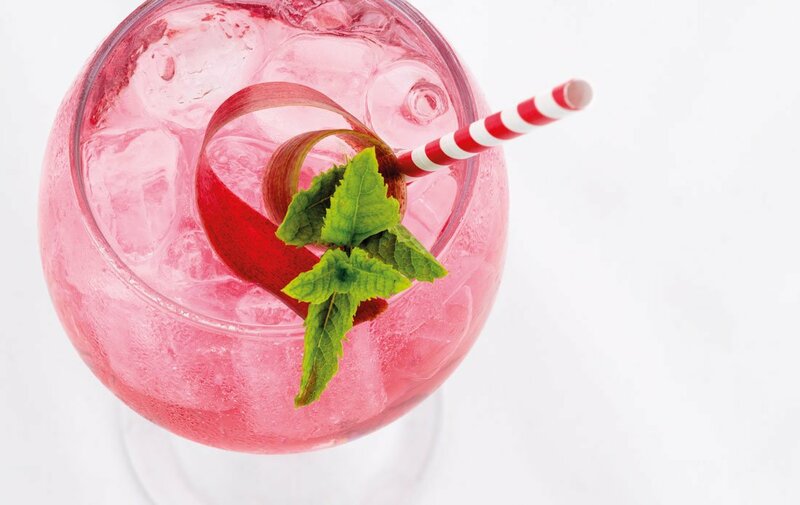 With clever timing and a number of helpers, we would make the drinks, and like a production line take the right shots at differing angles to get the images we needed for each flavour. This all went very well and once the photographs were taken, we could then have a sip to see what it tasted like – it was summer after all. Capturing the beauty and vibrant depth of the cider as it poured over the ice was pure joy. 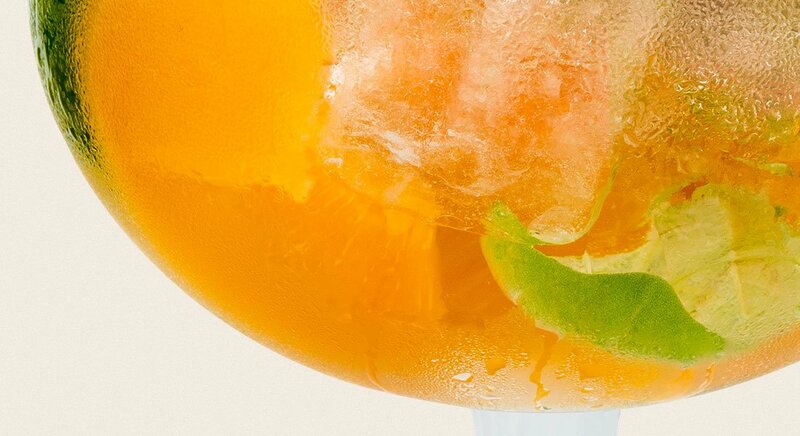 These cold and refreshing drinks needed crisp and bright photography with carefully placed lighting, which we achieved and more. We really did liked the quality of this shoot. Lisa Piechowicz – Brand Executive Rekorderlig.